This is a round American Agricultural Chemical Company porcelain sign. 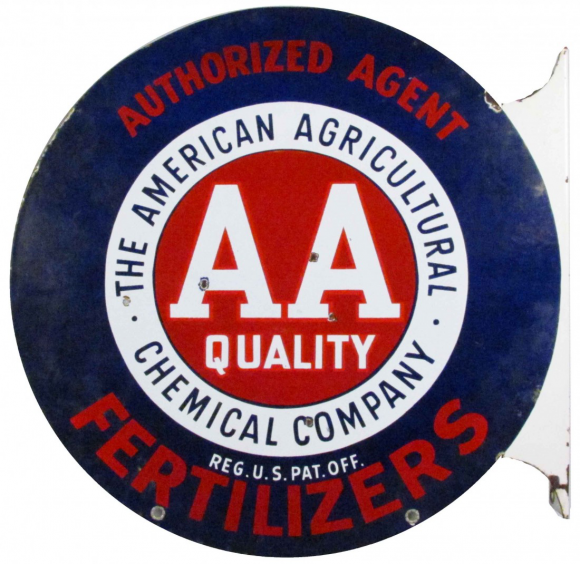 This particular American Agricultural Chemical Company sign is predominantly blue with touches of red and white. It reads, “The American Agricultural Chemical Company, Authorized Agent Fertilizers, Reg. U.S. Pat. Off.”, and has no other design.